Definately a needed add on.. If you are buying the Mr. 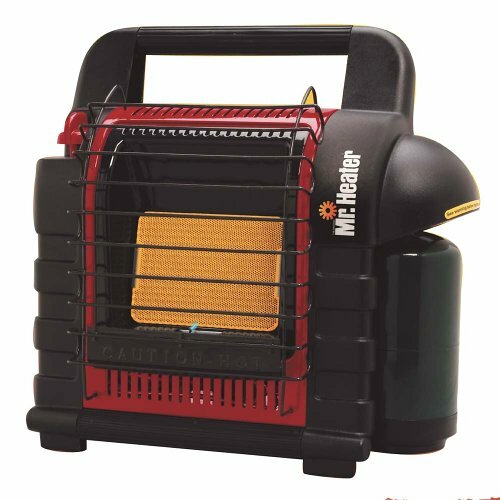 Buddy Heater, this hose (or the 5' model) are definately needed. By using the larger (20lb or bigger) tanks you have many more hours of operation without having to change the disposable tanks. 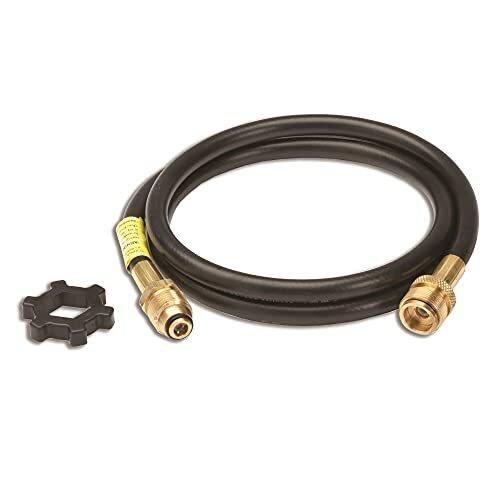 This hose will also allow you to use bulk tanks with any propane appliance that accepts the disposable tanks (stoves, lantern, etc.). I bought this hose because I wanted to maximize the safety, usefulness and economy of the Propane Buddy heater by Mr Heater. 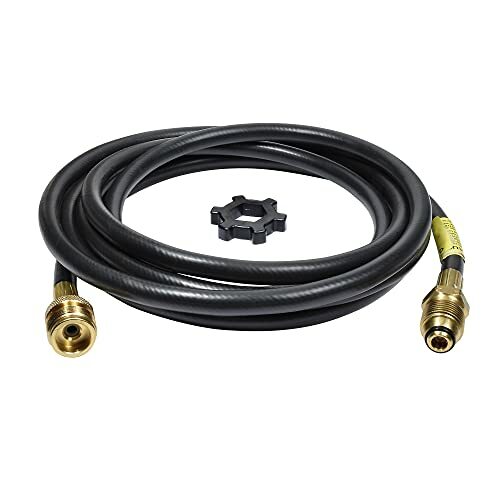 You can't go wrong buying this hose! 1. It allows the use of a larger LP tank (I have a 20 lb cylinder). I am certain the savings from buying LP fuel in bulk will pay for the hose. 2. You can locate the bulk tank a good distance away from the lit heater. 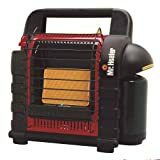 I use the heater primarily in my garage, and with the hose I can put the heater up on a shelf or on the workbench, off the floor, and still have the bulk tank in a convenient and safe spot. I have the older version that is functionally identical to the current version (they replaced the L-bolt that holds the heater on the tank with a ribbed knob on the new version). I love it for taking the morning chill off the house in the morning. I keep it in the kitchen and fire it up first thing on a cold morning. After about 30 minutes the chill is off not only the kitchen but the adjacent master bedroom and living rooms. 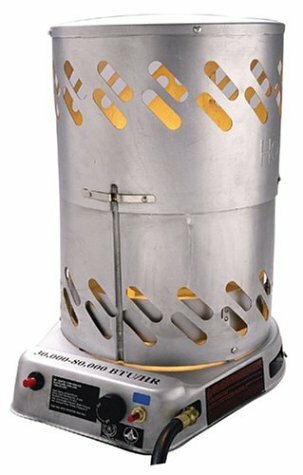 Be cautious - like any unvented heater it can be dangerous if you try to heat an unvented space for any length of time. It is economical to use and even more so if you are able to find a local propane tank refiller. If you are forced to exchange the tank, it can cost [$$$]. If you have the tank refilled it will only cost [$$$]. 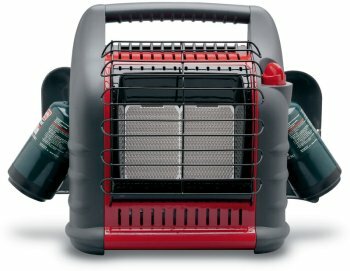 My heater was given to me, used, and I liked it so much I gave one to my sister to use when she didn't want to burn the fireplace. I am now going to buy a newer one for the house, and relegate the older on out to my workshop. usually, "reconditioned" includes a functional product, with the dirt removed, having the parts screwed back together, and a box with directions - at the least- but that was too much to ask for here. For a lot less money, you can buy a bic lighter- and it will stay lit longer. Well made, durable, reliable. Like a Zippo! 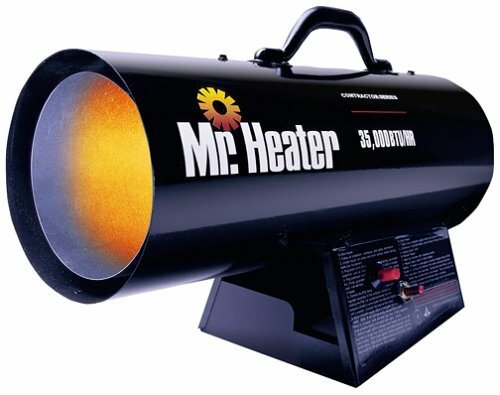 I got a Mr. Heater Single unit about 8 years ago as a backup source of heat after hurricane Hugo knocked out our power for three weeks. It is still working fine and has come in real handy during infrequent ice storms and winter power failures. 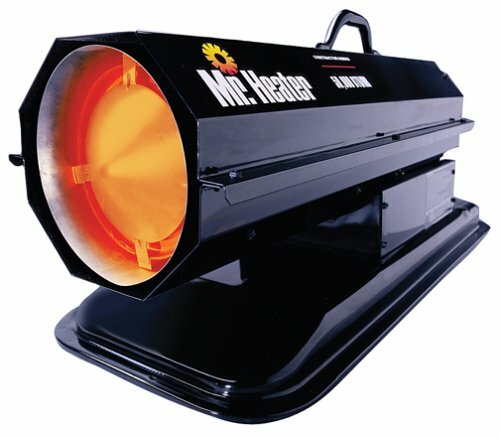 My dad liked my single a lot so he bought a Mr. Heater Double to heat a big 3 car garage sized shop. He liked it but now thinks that a single would have worked fine as the double gets that big area heated in no time and keeps it really toasty. My single unit works far better than gas logs to heat up a room. It does make a hissing sound that is not too loud but barely audible. A single will knock the chill off a large room in no time. A tank of propane will last about 30 to 36 continuous hours if you keep it set on low. I think this is a great alternative to other auxilary heat sources like Kerosuns or a fireplace. With an asthmatic child in our family, a kerosene heater is out of the question for us. This burns clean, creates no odor, smoke or soot. There's no maintenance, no wicks or anything like that. You can store it indefinitely untouched and then pull it out and fire it up with no preparation. I will buy another one if mine ever wears out. 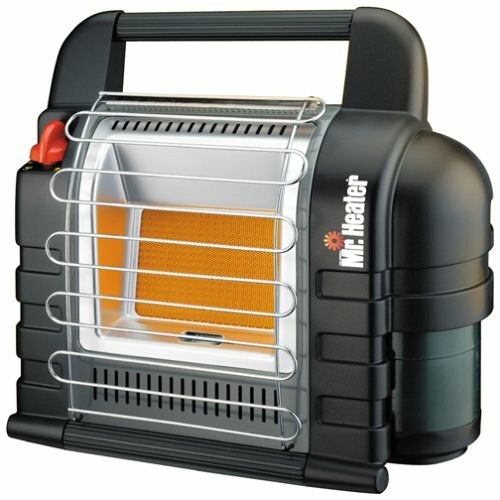 I have recommended Mr. Heater to lots of my friends and family and have no reservation about recommending one to you. If you can't decide whether you need a single, double or triple I suggest trying the single first. Then if you aren't happy step up to the double or triple. 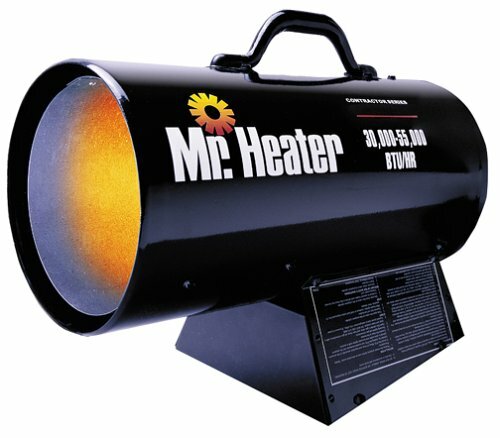 It is really amazing how much heat a Mr. Heater Single generates! It is rare to find a really good product that is durable and an excellent value. Mr. Heater is one of those rare finds. They are the Zippo lighter of auxillary space heaters in my opinion. George@woodjig.com. Has served the shop well! 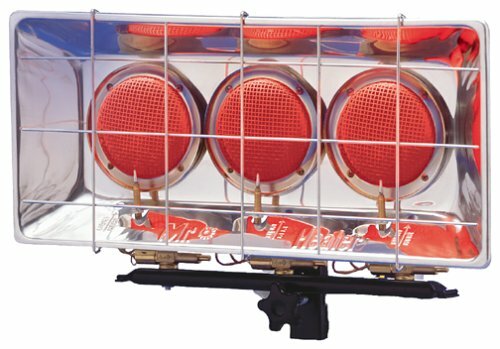 This a very good heater for the shop! It runs for a long time on one tank of propane. 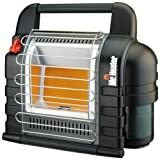 It is a nice heater to at least break the chill in very cold weather or a large shop or area. It can be a valuable back up in case of any problems with your primary source of heat too. Highly recommended and a great price here! I use one in my wood shop and it really works well. In fact I am here to get another. Heats a mostly uninsulated standard two car garage from 30 to 65 degrees in about 30 minutes. A standard 20lb propane cylinder will keep this guy going for about 30 hours. In summary, I would recommened this product. This is a really nice unit if it fits your purpose. I must stress however, that is if it fits your purpose. As I now realize, 25,000 BTU/hr is not an enormous amount of heat. This unit really is designed for use in a closed in space w/ minimal air curculation. The heating method is to raise the temperature of all objects in the radiant field so that the space stays warm. A breeze or draft will reduce it's ability to maintain the heat. The unit comes with a thermostat for mounting on a wall and setting a desired heat. I've eliminated the thermostat and just hard wired the unit. If it's cold enough to have it on, then I want it on. 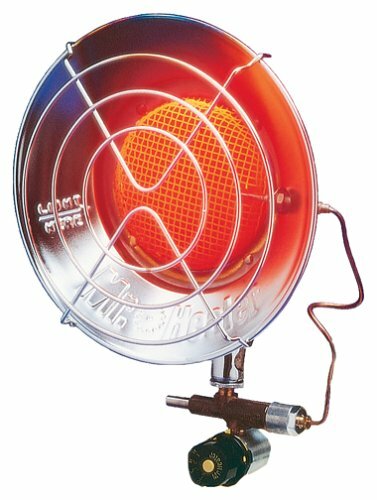 Mr. Heater advertises using the term "millivolt" ignition or something to this manner. This is misleading. This is not a electronic ignition unit!!! This means the unit has a pilot light. 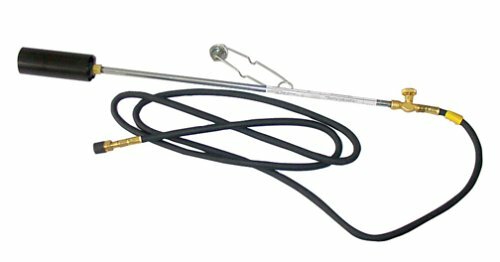 The pilot light heats a thermocouple which provides the "millivolt" current they refer to. The thermostat either "opens" or "closes" the circuit, depending on the temperature and thermostat setting. The "closed" loop opens a solenoid valve in the pressure regulator which releases the gas to the burner. My unit is installed on a large covered patio outside approximately 8' above a sitting area. Sitting below the heater in a 8' diameter circle is nice and toasty, even with a slight breeze. Sitting across the table at 12' you can feel a slight warming effect with no breeze. More than 12' away....no impact. 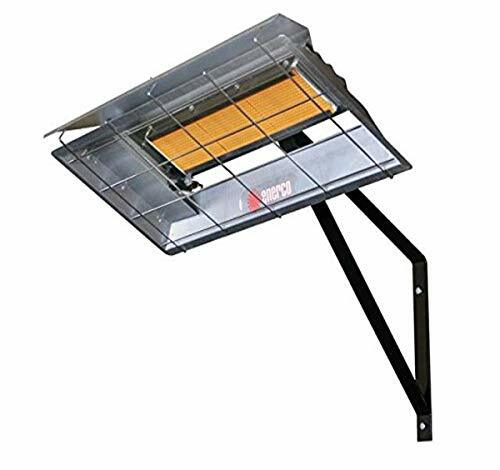 This is not a highly effective heater if used in an open space. 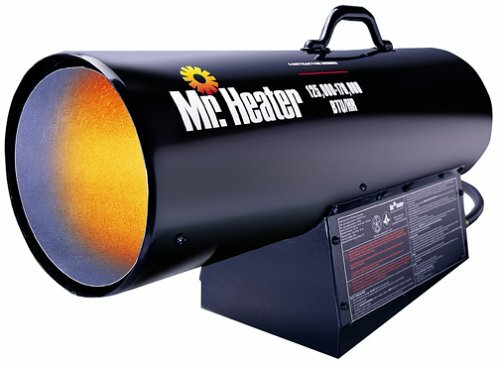 As advertised....this is a garage heater. To get the heat I need I am adding a second heater across the patio from the first. Clearances around the unit are important. I have 2' clear above my unit, and the lumber above the unit gets warmer than I would like. After 2 hours of use I can touch the wood with my bare hand without having to remove it, but it is quite warm. I'm thinking about 120 to 130F. I have some harditrim up there too and it is even warmer. Not too sure how long the paint will last. Installation is a breeze. Includes a video if you need it, but there is essentially nothing to it.